Membership is open to those who earn an income from being part of an editorial workflow process, encompassing reporters, hyperlocal editors, photographers, writers, sub-editors, page layout artists, and news broadcasters to name just a few. 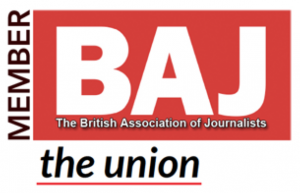 (National – £18.50pm) – Members working for national media publications. 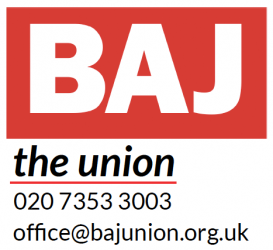 (Local – £10.50pm) – Members working for local media publications, including freelance contributors and internet-based media. Membership fees are collected monthly on a rolling Direct Debit mandate. 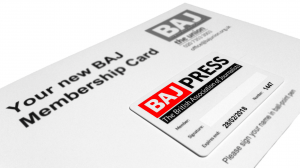 Successful applicants will receive notification of their membership number by email, followed by a ‘welcome pack,’ containing their BAJ membership card, within ten working days. * Membership at the full rate is required after reaching 24 years of age, at either National or Local level.